Surprise, surprise, surprise! 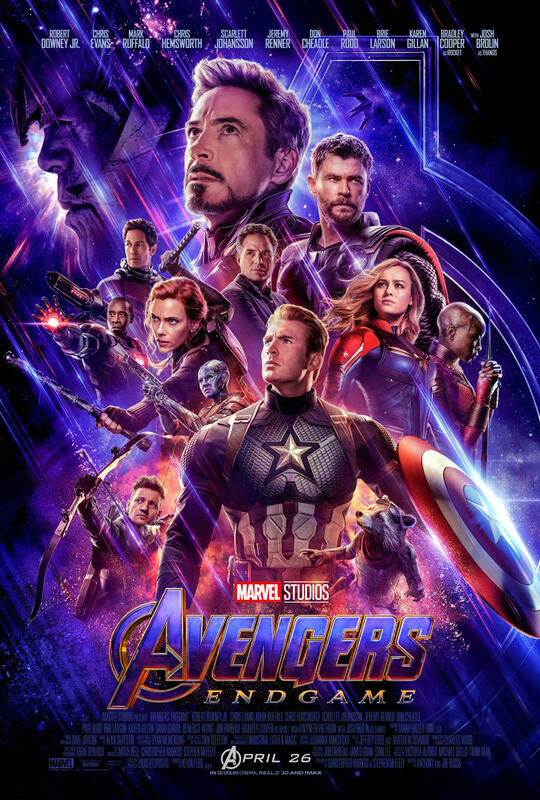 Should we have expected a final trailer for Avengers: Endgame six weeks before the Marvel superhero epic hits theaters? Three trailers is usually the standard, and we’ve already seen one teaser and a Super Bowl ad, so maybe a third look at Endgame was inevitable. It’s also possible that Marvel wanted to bounce off the Captain Marvel springboard and remind everyone — if anyone wasn’t actually aware — that far bigger things are on the way in the world of the Avengers and the newest hero we were just introduced to plays a role in that story. The first thing we see in the trailer is Tony Stark in the Afghanistan desert, the remains of his Mark I Iron Man suit scattered across the sand after he escaped from The Ten Rings. Now he’s broadcasting (or recording) a message to Pepper Potts across galaxies with his Mark L helmet. Then we’re taken back to skinny Steve Rogers in 1942, yearning to join the Army and fight in World War II but deemed too frail for battle. Nearly 80 years later, he’s the quintessential superhero, leading a group of heroes — all of which are more powerful than he is — into the ultimate battle. Later, we’re reminded of how much Thor’s world has changed. Once the heir to the throne of Asgard and an admiring son to Odin, Thor has lost virtually everything. Asgard is gone. Odin appears to be dead. Mjolnir has been destroyed. And his hair is much shorter. How often have we seen characters develop and evolve across a multi-film arc of stories like this? Hawkeye was curiously missing from Avengers: Infinity War, presumably retired after the events of Captain America: Civil War, which left him jailed and away from his family. 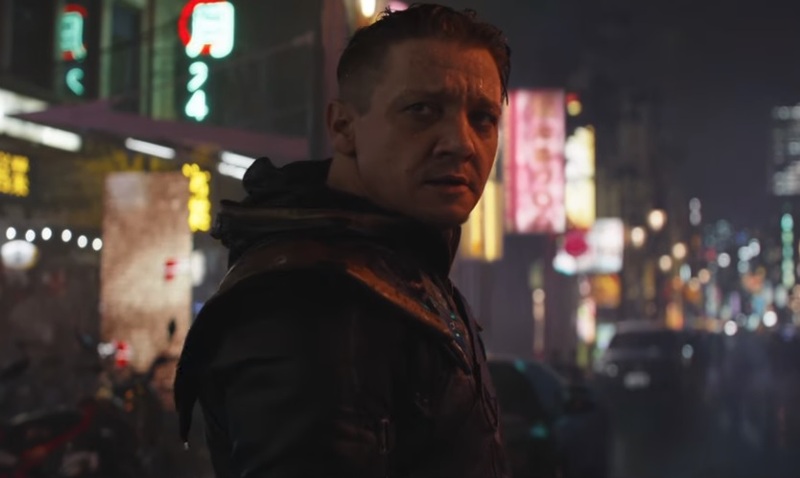 We saw a glimpse of him in the first Endgame trailer, sporting a sword and new costume in what’s likely the Ronin identity he assumed in the comic books. The scene of Clint Barton tutoring his daughter in archery is an allusion to the family he lost when Thanos eliminated half the universe. With his family gone, he’s apparently become something else — something Black Widow is visibly upset to see. Judging from the shot of him shooting arrows again later in the trailer, he becomes Hawkeye (with a mohawk) again. Will he get his family — or his hair — back? OK, it’s probably sexist to highlight Black Widow’s hair, and not anyone else’s appearance. (Although Thor’s haircut was noted earlier in this post.) But what is going on there? Natasha Romanoff has gone through several hairstyles throughout the Avengers and Captain America films. When we last saw her, she’d gone platinum blonde with shorter hair. Now we see her apparently growing her hair back out, likely an indication that a significant chunk of time had passed. (Hey, Steve Rogers shaved his beard off too.) Maybe Natasha has become Bonnie Raitt in the post-Thanos world. Off to the Quantum Realm? Ever since the release of Ant-Man in 2015, fans have speculated as to what role the Quantum Realm will play in the larger Marvel Cinematic Universe. I was wrong to guess that it would tie in with Doctor Strange. Many others thought there might be a connection to Captain Marvel. However, the Quantum Realm almost certainly plays a role in Endgame. We know Scott Lang was trapped there at the end of Ant-Man and the Wasp, but he’s returned home based on his presence in the Endgame trailers. But how did he get back and what may he have found there — even unwittingly — that might help the Avengers defeat Thanos? The merchandising for Endgame revealed the new suits that the Avengers would wear in the movie. (Unless the new looks were simply a means to sell toys.) Even the Hulk — who might be digitally hidden here — wears one in some of the marketing that’s been revealed. Is there a practical reason for the suits, such as surviving in the Quantum Realm? Based on set photos, it also appears that a time-travel element is part of this story. Does that happen through the Quantum Realm? 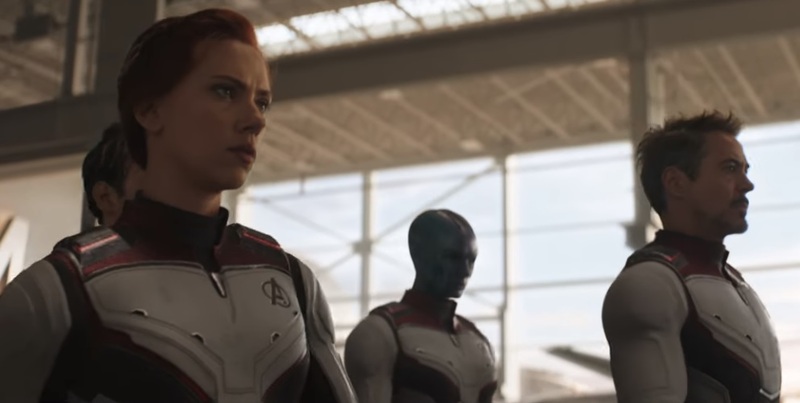 Another notable glimpse: Tony Stark and Nebula are with the gang here, so either they were rescued from space or made it back to Earth on their own somehow. We’ll try to avoid spoilers if you still haven’t seen Captain Marvel (although we’d love for you to listen to our special episode on the movie or check out my written review), but the movie serves as both an introduction to Carol Danvers and something of a prequel to Avengers: Endgame. Of course, the timing of Captain Marvel’s release isn’t a coincidence. Marvel’s newest hero is part of the Endgame storyline and possibly the key to the Avengers defeating Thanos. So it’s really not a spoiler to say that Danvers eventually meets up with the Avengers. After all, we saw Nick Fury’s signal go out to her at the end of Infinity War. What we know now is that Carol got the signal and is ready to join the fight. But the Avengers have no idea who she is and Fury isn’t around to vouch for her. The same goes for Carol; she doesn’t know these people and the world has obviously changed very much in her 24 years away from Earth. Thor tries to test her by whizzing Stormbreaker past her head, and Carol doesn’t flinch. That’s apparently enough to impress the god of thunder. Those who think Carol (or Brie Larson) doesn’t show enough emotion in her portrayal miss the point that she acts this way for a reason. She’s been doubted and tested by men throughout her life. Plus, she thinks — knows — she could take Thor in a fight if she had to. As fun as Captain Marvel was, it’s going to be exciting to see her interact with the Avengers. But really, enough with the trailers. We’re ready to see this thing, right? We’ve waited not-so-patiently for the past year and, just like Steve Rogers, aren’t quite ready to move on. Avengers: Endgame — and its rumored three-hour runtime — surges into theaters April 26. Danvers has a convoluted comic book history, one that surely made her difficult to distill into something simpler for a movie. Yet like Tony Stark before her, the lack of a signature storyline made Danvers a blank slate for Marvel Studios and the five writers (including Guardians of the Galaxy's Nicole Perlman and Inside Out's Meg LaFauve) who took a crack at Captain Marvel's story. Kicking off a big week for Marvel, the second trailer for Captain Marvel debuted during halftime of Monday Night Football. (The long-awaited first look at “Avengers” 4 is expected to debut Wednesday morning during Good Morning America.) ESPN was likely grateful for some corporate synergy to draw viewers to the broadcast who probably weren’t interested in watching the Eagles play the Redskins. It’s often interesting to compare the first and second trailers for a blockbuster movie marketing campaign, and see what the intention is toward the audience. As we saw back in September, the first Captain Marvel trailer was more of an introduction to Carol Danvers (Brie Larson) and her abilities, emphasizing showy points like the story taking place in the 1990s and younger versions of characters like Nick Fury and Phil Coulson. With the intro now out of the way, this latest trailer focuses more on the story. The Skrulls and Kree are alien races at war, and the conflict has made its way to Earth. For many viewers, one of the shocking moments from the first Captain Marvel trailer was seeing our hero belt a kindly old woman on a train. Who would punch an old woman? What kind of hero does that? But most Marvel Comics fans guessed that the civilian was a Skrull in disguise. And what better way to demonstrate their shape-shifting abilities than to take the form of a seemingly harmless elderly woman? One of the fun things about Marvel movies is to see actors not typically associated with blockbuster films (Glenn Close, Robert Redford, etc.) get to play a role. 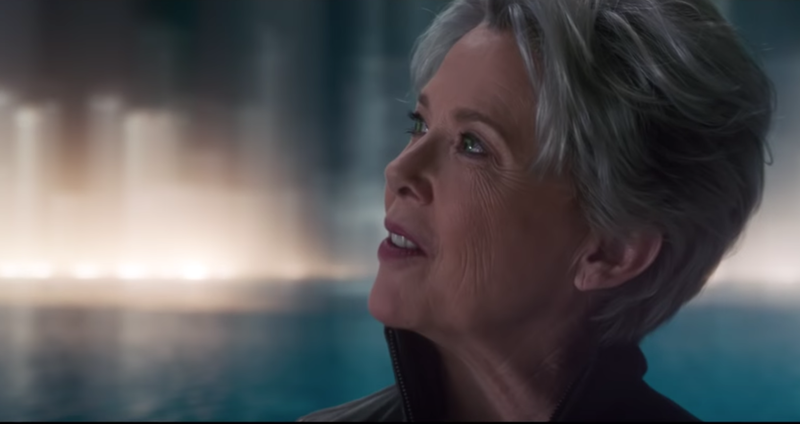 Annette Bening joins that group, though we don’t know exactly what part she’s playing in Captain Marvel. While it might be fun to see her fulfill an older mentor type of role, like Liam Neeson did in Batman Begins and Star Wars: Episode I, the assumption is that Jude Law’s character will provide guidance for Carol Danvers. Based on what we hear from Bening in this trailer (“we made you one of us”), she has more to do with programming Danvers into a soldier for the Kree, changing her physiology (which includes blue blood), and so forth. With their ability to take the form of any person, it’s expected that the Skrulls could become a major player in the studio’s next phase of films. Could some of our favorite heroes end up being an alien menace in disguise in future Marvel films? That could be fun and upsetting. Marvel Studios head Kevin Feige has said that Captain Marvel is the most powerful hero in the Marvel Cinematic Universe. Those familiar with the character from the comic books nod knowingly and approvingly. But that might be a tougher sell to fans who think Carol Danvers couldn’t possibly be more powerful than Iron Man or the Hulk. Or what about Thanos? But the trailer provides a hint of that in its climactic moment with Danvers saying that she’s going to end the war between the Skrulls and Kree. We then see her surge with power, fly above the Earth and destroy spaceships with energy fired from her hands. (Oh, and she’s doing so wearing that cool battle helmet — designed by Jamie McKelvie for the comics — which forms her hair into a mohawk. We haven’t seen Thor or Iron Man do that. Stand back. Based on this trailer, one of the highlights of the movie promises to be the banter between Carol Danvers and a younger, pre-eye patch Nick Fury. This is literally a side of Fury we haven’t seen before. He has both of his eyes, a full head of hair, and isn’t the sardonic badass we’ve come to know in the Marvel films. Fury also apparently has a soft spot for cats. But the little kitty with which the future director of S.H.I.E.L.D. is so smitten — who also lurks in the shadows of the first Captain Marvel poster — isn’t a terrestrial feline. No, sir. That’s an alien lifeform. The cat is a relatively recent addition to the Captain Marvel mythology, which has been built up over the past 10 to 15 years as her role has become more important in the Marvel Comics universe. Named Goose, surely as a nod to Danvers’ pilot days (the cat is called Chewie in the comics), the pet is actually a Flerkin. Flerkins resemble cats, much like Rocket Raccoon looks like a terrestrial raccoon. Rocket and Goose (Chewie) have actually butted heads in the comics, so maybe that gives us something to look forward to in Avengers 4. In the meantime, it’s probably a good idea for Fury to be sweet to that little beast. Otherwise, he might reveal those fanged tendrils that reside deep in his mouth. Fortunately, this second trailer doesn’t reveal everything. There’s even a hint at a mystery that Danvers (and Fury) are likely trying to solve throughout the story. “Something in my past is the key to all of this,” Danvers says to Fury. What exactly brought Danvers back to Earth? Was it simply her role in the Kree-Skrull War? Or is there more to it? Why was Danvers taken by the Kree in the first place? Was she in the wrong place at the wrong time, becoming an unwitting participant in an intergalactic battle? Was there something different about her from the very beginning? We’ll get to see Captain Marvel in theaters on March 8, 2019. All we needed was a little patience. When Brie Larson and Entertainment Weekly promised to “break the internet" with a big announcement and followed that up with a reveal of an EW cover with 10 photos from the upcoming Captain Marvel film, some fans were a little bit disappointed that we weren’t getting a trailer. We just needed to wait about two weeks. Taking the same path that Marvel typically follows with their movie releases, the studio built anticipation with the EW story before setting its other machinery in motion. With Disney owning ABC, the Captain Marvel trailer was sure to debut on either Good Morning America or Jimmy Kimmel Live. GMA got the nod, as announced Monday evening. Now that we’ve finally gotten a look at Captain Marvel in action, here are some takeaways from the two-minute introduction to Marvel’s first headlining female superhero. The trailer makes it clear right away that the story takes place in the 1990s with Carol Danvers (Larson) crashing through the roof of a Blockbuster Video. Nice nod to the past. Would it have been too on point to see surveillance video of Danvers crashing through the ceiling, as we’ve seen recently with burglars in convenience stores? Probably. Shortly thereafter, we get a Nick Fury (Samuel L. Jackson) voiceover explaining that this visitor is a renegade soldier. Is Danvers fleeing the Kree Starforce to which she belongs? That sets up a flurry of story possibilities while possibly establishing the driving plot of the movie. Captain Marvel goes “Pew Pew!” with her hands! Fans of Marvel Comics know what abilities Captain Marvel has. (Super-strength and speed, flight, invulnerability, photon blasts, etc.) But regular moviegoers who don’t know that stuff get a glimpse of the character’s powers with the Captain shooting energy blasts from her hands at an off-screen adversary. At the very end of the trailer, we see Captain Marvel loading up with plenty of power, presumably ready to be unleashed on a bad guy. We’ve been told Captain Marvel won’t be an origin story. At least not in a traditional, linear sense, as the trailer demonstrates. “It’s hard to explain,” says Danvers to (a much younger) Nick Fury. Danvers will experience plenty of flashbacks as her memories come back upon her return to Earth, which will provide us background information on the character, such as her childhood and military experience. Surely, that’s how we’ll find out how Danvers gets her superhuman abilities (which, if the movie follows the comic books, will come from alien DNA). Were Carol Danvers’ memories erased — or repressed — as part of her programming upon joining the Kree? Maybe discovering that her brain was being tampered with is what compels her to flee from the Kree and return to Earth. Having her memories hidden would give her something in common with the Winter Soldier. If those memories haven’t been restored in current time, maybe she’ll eventually have to go to Wakanda and have Shuri fix that, just like Bucky did. Captain Marvel just hit an old lady! One of the biggest surprises or most shocking moments of the trailer comes when Danvers (who doesn’t yet appear to be Captain Marvel, judging by the teal color of her uniform) punches an old woman on the subway. That’s not very superheroic! But the villains of the story are the Skrulls (of which we get a very brief glimpse in this trailer), and comic book fans know that their primary ability is to change their shape and disguise themselves as another life form. So that old lady is probably a Skrull. Let’s hope she is, anyway. Otherwise, Danvers has some explaining to do. Not even Drax would do that. man. Again, this story takes place at least 20 years ago, presuming that the current Marvel Cinematic Universe is happening in modern times. That gives Marvel an opportunity to present much younger versions of familiar characters. As mentioned on the podcast, someday we’ll have to rank all of the de-aged Marvel characters we’ve seen on screen, such as Michael Douglas’s Henry Pym, Kurt Russell’s Ego, Robert Downey Jr.’s Tony Stark. Michelle Pfeiffer’s Janet Van Dyne, and Fury and Coulson (or “Son of Coul,” as Thor once called him). This first trailer is very much a teaser, not revealing very much. That’s to be expected. Captain Marvel has to be introduced to a wider audience. Plenty of devoted comic book fans might not be entirely familiar with her (I know I’m not) because for most of her Marvel Comics existence, she’s been a C-List character. Subsequent trailers and promotional appearances will fill in more blanks and explain more of the story in the months to come. (Hopefully, without too many spoilers.) Marvel doesn’t typically spoil too much, though may feel the need to if the potential audience still isn’t sure what they’re getting. But that wasn’t necessary with Guardians of the Galaxy and it surely won’t be needed here. Captain Marvel flies into theaters on March 8, 2019.